NEW YORK -- The rising crescendo of bickering and acrimony within Europe might seem to outsiders to be the inevitable result of the bitter endgame playing out between Greece and its creditors. In fact, European leaders are finally beginning to reveal the true nature of the ongoing debt dispute, and the answer is not pleasant: it is about power and democracy much more than money and economics. Of course, the economics behind the program that the "troika" (the European Commission, the European Central Bank and the International Monetary Fund) foisted on Greece five years ago has been abysmal, resulting in a 25 percent decline in the country's GDP. I can think of no depression, ever, that has been so deliberate and had such catastrophic consequences: Greece's rate of youth unemployment, for example, now exceeds 60 percent. Economists around the world have condemned that target as punitive, because aiming for it will inevitably result in a deeper downturn. Indeed, even if Greece's debt is restructured beyond anything imaginable, the country will remain in depression if voters there commit to the troika's target in the snap referendum to be held this weekend. In terms of transforming a large primary deficit into a surplus, few countries have accomplished anything like what the Greeks have achieved in the last five years. And, though the cost in terms of human suffering has been extremely high, the Greek government's recent proposals went a long way toward meeting its creditors' demands. We should be clear: almost none of the huge amount of money loaned to Greece has actually gone there. It has gone to pay out private-sector creditors -- including German and French banks. Greece has gotten but a pittance, but it has paid a high price to preserve these countries' banking systems. The IMF and the other "official" creditors do not need the money that is being demanded. Under a business-as-usual scenario, the money received would most likely just be lent out again to Greece. But, again, it's not about the money. It's about using "deadlines" to force Greece to knuckle under, and to accept the unacceptable -- not only austerity measures, but other regressive and punitive policies. But why would Europe do this? 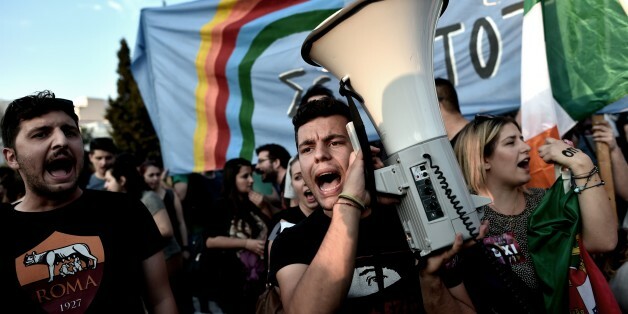 Why are European Union leaders resisting the referendum and refusing even to extend by a few days the June 30 deadline for Greece's next payment to the IMF? Isn't Europe all about democracy? 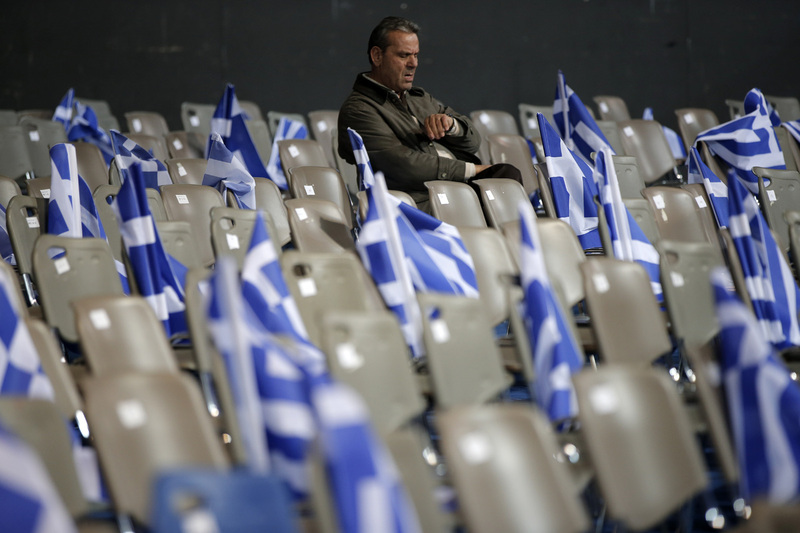 In January, Greece's citizens voted for a government committed to ending austerity. If the government were simply fulfilling its campaign promises, it would already have rejected the proposal. But it wanted to give Greeks a chance to weigh in on this issue, so critical for their country's future wellbeing. That concern for popular legitimacy is incompatible with the politics of the eurozone, which was never a very democratic project. Most of its members' governments did not seek their people's approval to turn over their monetary sovereignty to the ECB. When Sweden's did, Swedes said no. They understood that unemployment would rise if the country's monetary policy were set by a central bank that focused single-mindedly on inflation (and also that there would be insufficient attention to financial stability). The economy would suffer, because the economic model underlying the eurozone was predicated on power relationships that disadvantaged workers. And, sure enough, what we are seeing now, 16 years after the eurozone institutionalized those relationships, is the antithesis of democracy: Many European leaders want to see the end of Prime Minister Alexis Tsipras's leftist government. After all, it is extremely inconvenient to have in Greece a government that is so opposed to the types of policies that have done so much to increase inequality in so many advanced countries, and that is so committed to curbing the unbridled power of wealth. They seem to believe that they can eventually bring down the Greek government by bullying it into accepting an agreement that contravenes its mandate. It is hard to advise Greeks how to vote on July 5. Neither alternative -- approval or rejection of the troika's terms -- will be easy, and both carry huge risks. A yes vote would mean depression almost without end. Perhaps a depleted country -- one that has sold off all of its assets, and whose bright young people have emigrated -- might finally get debt forgiveness; perhaps, having shriveled into a middle-income economy, Greece might finally be able to get assistance from the World Bank. All of this might happen in the next decade, or perhaps in the decade after that.